The Masters of Science in Biomedical engineering (MSBE) is a research oriented degree program that is administered by the Department of Engineering in the College of Engineering and Technology. ECU MSBE is a two-year program with a minimum of 32 semester hours of coursework and thesis. I bring your attention to the following workshop that will be held in Rome on November 18-20, 2019. Attendance of the workshop is free. All the relevant information are available in the attached flyer. We have an opening for a postdoctoral researcher to perform original research on geomechanics and multiphase flow for subsurface engineering applications, with a particular emphasis on the poromechanics of geologic faults. The successful candidate will develop numerical methods to model coupled processes on high-performance computing platforms. The deadline to submit is April 30th, 2019. Please consider subitting to our symposium on the Mechanics and Physics of Soft Materials. A full description is given below. The day before the SEM Conference this June in Reno, Nevada, USA, we will be teaching a short course entitled Residual Stress 101: https://sem.org/annualprogram. See below for a description of the course. We will cover lots of practical material on residual stresses, much of which is not covered in standard engineering curricula. This is great material for any interested researcher who never got a comprehensive background in residual stress. It will also be great for graduate students or advanced undergrads, and students pay half price. We have one or more postdoc positions available, to be filled immediately, in my research group. We are looking for postdocs in the broad area of computational mechanics. Candidates should have expertise in modeling dynamic responses of path-dependent materials. Our project is specifically focused on the development and validation of multiscale models for energetic/porous/polycrystalline materials across length scales. More details will be provided to interested candidates. I uploaded a new paper titled "SP Timoshenko and America". Will be appreciative for readers' comments. 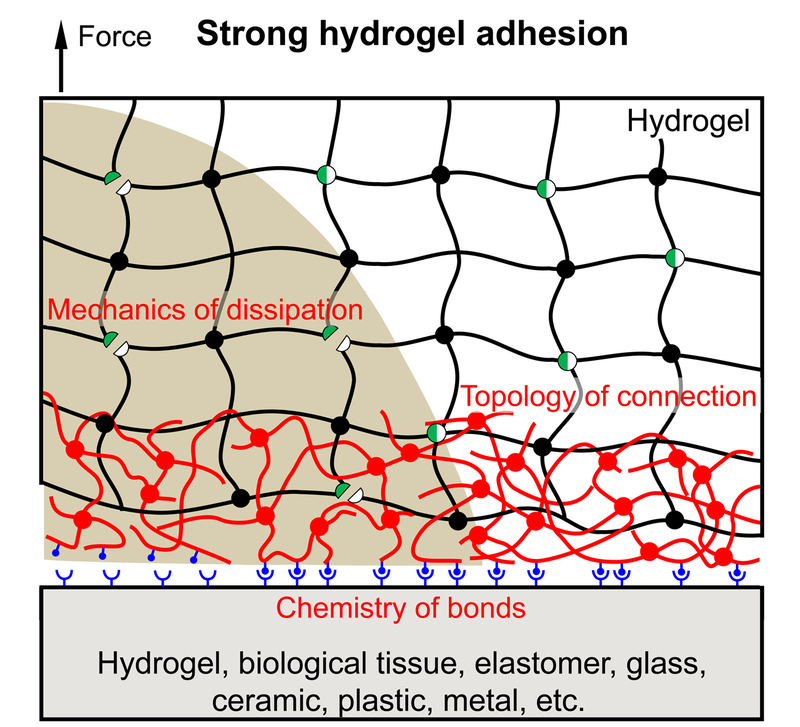 Here is our recently published review article about hydrogel adhesion. Hydrogel adhesion has undergone transformative advances in the last few years. This review article describes these advances, and outlooks future opportunities. I would like to share the codes required to perform an end-to-end molecular dynamics simulation, which will be useful to the novice researchers in the filed of atomistic simulations. I focus on simulating uniaxial tensile tests of a graphene sample in the LAMMPS molecular dynamics simulator, and I have attached two MATLAB scripts to create the input files for LAMMPS and to extract data from the LAMMPS output file. CISM course "The Art of Modeling in Computational Solid Mechanics"
"The Art of Modeling in Computational Solid Mechanics"
which takes place in Udine from Oct 7, 2019 - Oct 11, 2019. Read more about CISM course "The Art of Modeling in Computational Solid Mechanics"
Postdoc positions are available in the group of Prof. JG Zhu at Jiangsu University, China. Those possessing PhDs in the area of solid mechanics and material science are sought. We are particularly interested in candidates with experience in experimental and computational mechanics, composite materials and structures, structural dynamics, and micro/nano mechanics etc. https://doi.org/10.1016/j.coche.2019.02.011 We review the most recent developments in multiscale computational modeling of collagen-based biomaterials to determine their structural, mechanical, and physicochemical properties.